Our Wild Birds: They're BAAAAACK !!!! 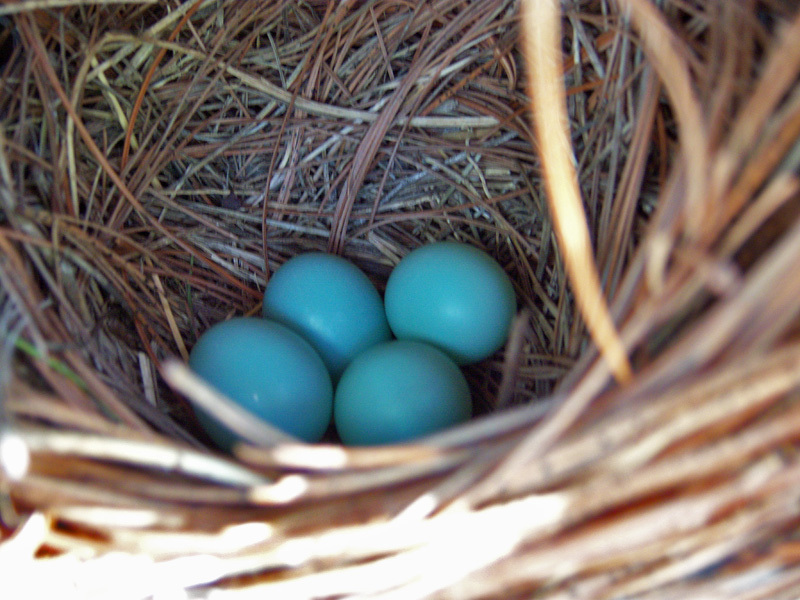 Anyway...this is the first of many photos of the bluebird nest...four eggs, so far...will check again today to see if there's another. Amazing, i never see blue eggs before.